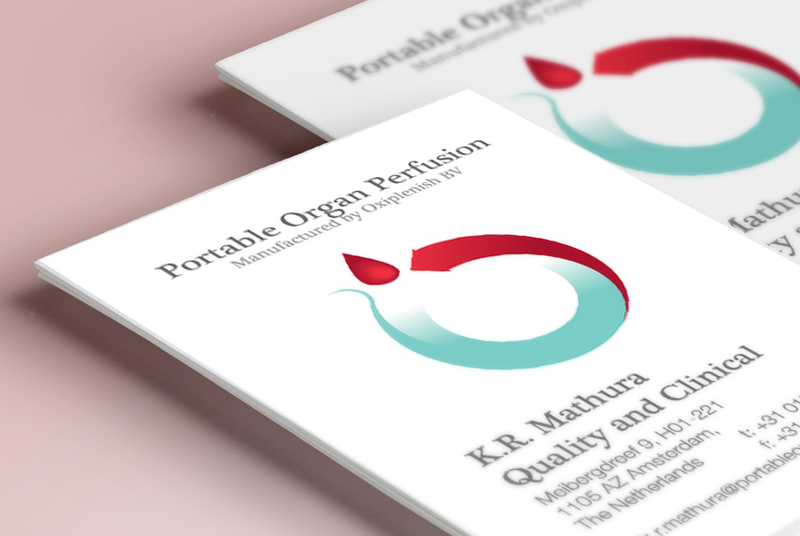 Portable Organ Perfusion is a startup company innovating with a truly disposable portable organ perfusion system. We offered all support needed to build up the visual identity from scratch. The branding of the startup needed to be taken care thoroughly. So we set up appointments to understand the client’s needs and made up a strategy. We rolled into the team’s daily schedule to make it happen, time was not on the team’s side. Startups are constantly busy planning the latest update, organizing the latest event, following the ongoing technical developments. 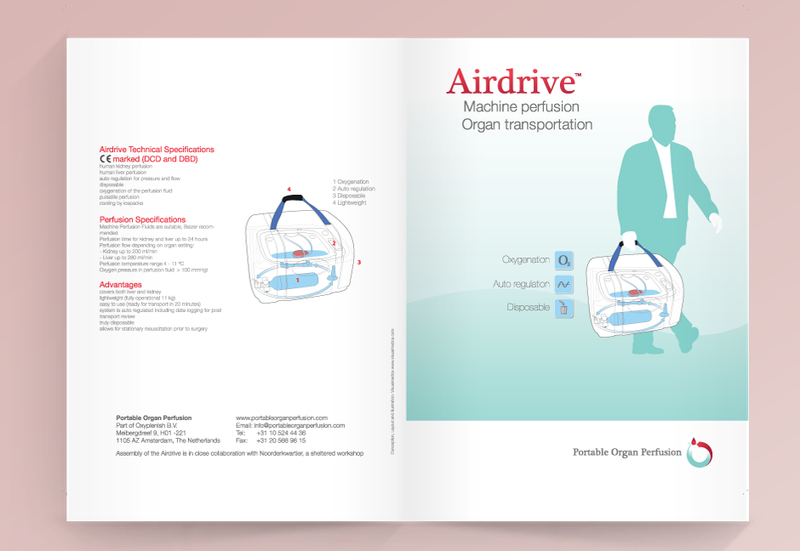 Approach: We provided the illustrations and graphics that needed to explain to the public the exceptional character of the product. 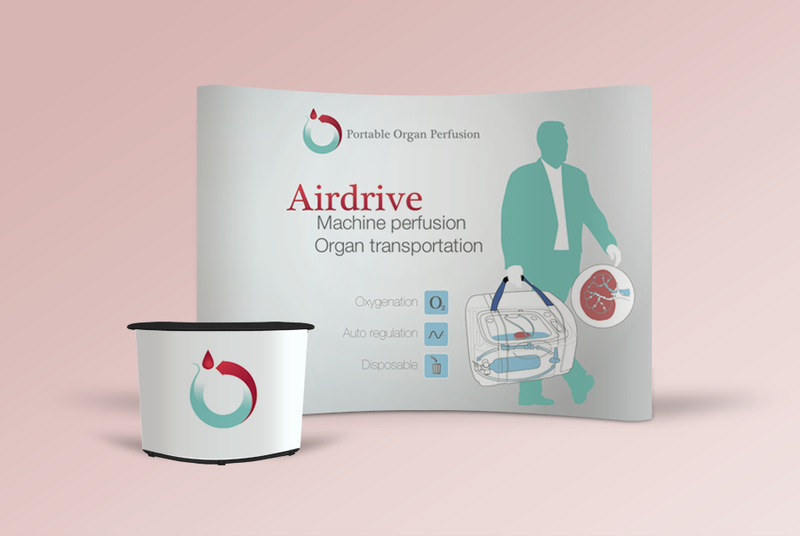 We worked our way into understanding the company’s needs and openly suggested to be involved more with other aspects of the product presentation. We obtained doing so the management’s trust and went ahead contributing to present the product using a wide range of media. 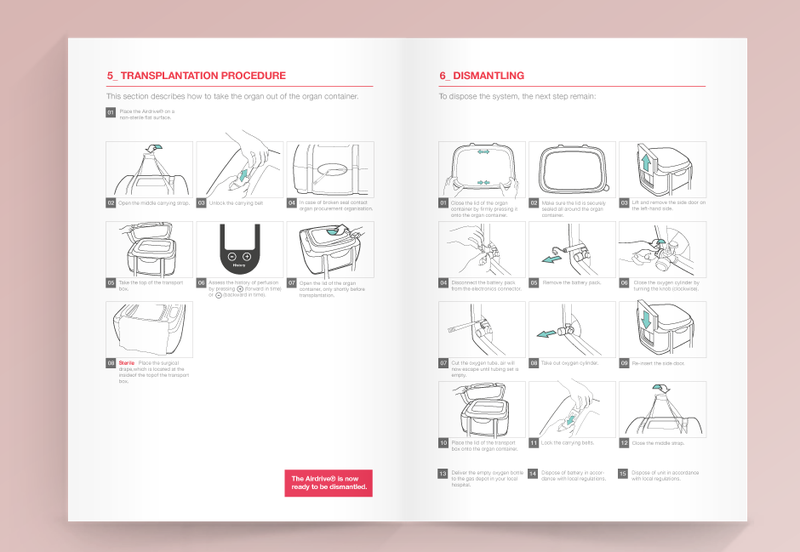 We supported them in such way they did not have to bother about the details of setting up visual guidelines, manuals with device regulations and content of the website. 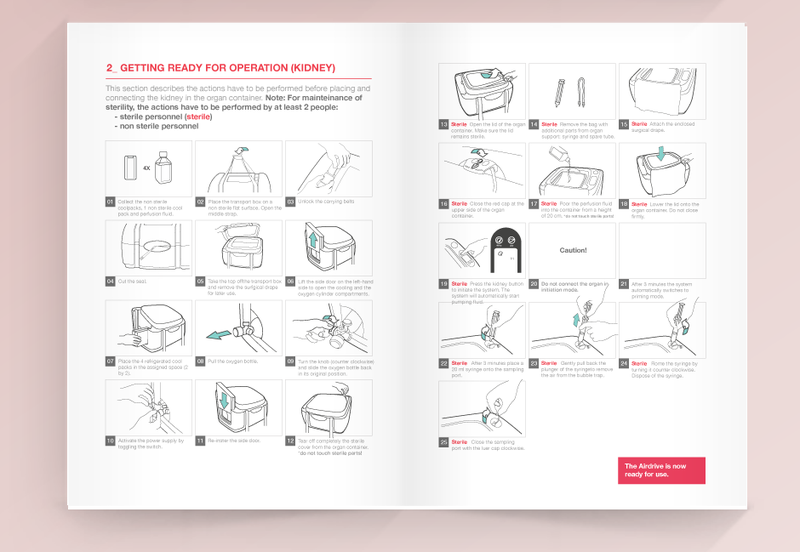 Result: The result is a nice balanced brand presence that reflects the company’s message well, both online and print. 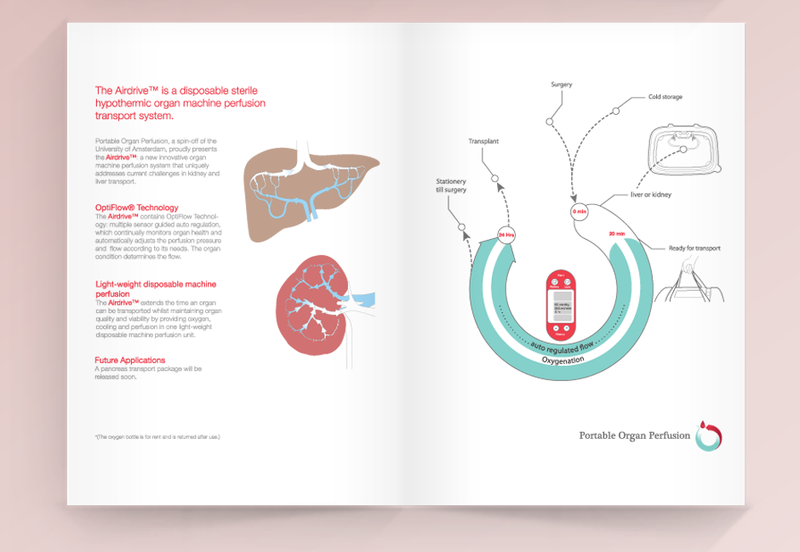 It is a good example of how medical device branding can be successful using illustrations and infographics.